ITEA 3 · Eteration Bilisim Cozumleri ve Ticaret A.S.
Eteration has deep embedded experience in building tools and open source development processes for services and service runtime. Eteration will contribute to platform by providing tools capability. Company Characteristic : SME, 35 technical staff, functioning in horizantal market providing software and software development services based on opn source and standards such as Java and OSGi. Expertise in: Java, Java EE, Web Technologies, SOA, ESBs, OSGi Keywords: Web Applications, SOA, OSGi, Eclipse, Java, Java EE, Services Brief Information about the Eteration A.S: Founded in 2002, Eteration A.S. is a software company that builds enterprise software solutions and infrastructures built on Open Source and standards. 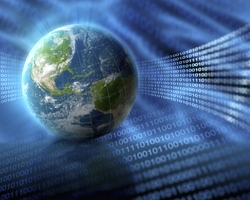 Eteration provides solutions to customers such as the telecommunications and finance, and has produced software such service delivery portals, integration middleware, process automation to name a few. 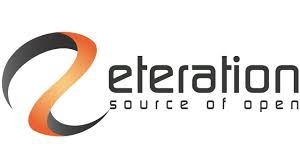 Also a provider of platform tools and services, eteration is a leader in JavaEE, SOA and Web Technologies; eteration is a service-oriented company that provides a single source for education, outsourcing, and software solutions. The developer of ObjectWeb Lomboz™ a popular integrated development environment (IDE) based on Eclipse targeting Web, Web Services, Java EE™, EJB™, portal and SOA development. eteration is a founding member of OW2 (www.ow2.org), a member of Eclipse WTP PMC (www.eclipse.org) and leads the eclipse Java EE Standard Tools (JST) project and contributes to SOA Tools Platform.